One of the women is a Social Justice Warrior hack from Teaching Tolerance, the education indoctrination arm of the hate group, the Southern Poverty Law Center. The other woman is a white guilt virtue signaler out of Durham. I sent a Freedom of Information Act request to Wake County schools to see just how much these hacks are costing taxpayers. I’ve received my FOIA back from Wake County Public Schools yesterday and I nearly choked on my afternoon coffee. The combined salaries of these two women and their boss, Rodney Trice, comes to over $300,000.00. The actual total dollar figure is $302,158.00. Teresa Bunner was hired to be the “Director of Equity Affairs.” Her salary is $87,120.00. 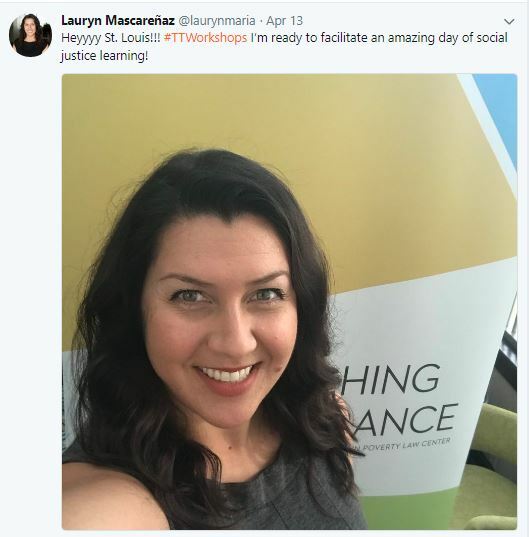 Lauryn Mascarenaz, the Southern Poverty Law Center hack, has been hired to be the “Director of Equity Affairs for Coaching and Leadership.” Her salary is $85,000.00. Read the full set of documents sent to me as a result of my FOIA request HERE. An embedded version can also be found at the bottom of this article. But wait, there’s more. This department is actually costing taxpayers over half a million. Their boss, Rodney Trice, was originally hired in 2014 at $125,000.00 with an annual budget of $204,846.00. A year later in July 2015, his salary was increased by the Wake County School Board to $130,038.00. The three salaries combined total: $302,158.00. That combined salary amount equals 6 teachers at an average of $50,000 a year. If one adds the budget for the “Office of Equity Affairs” to the salaries, ($204,846) the dollar total is over half a million dollars – $507,004.00. That’s enough money to fund 10 classroom teachers at an average of $50,000.00 a year. 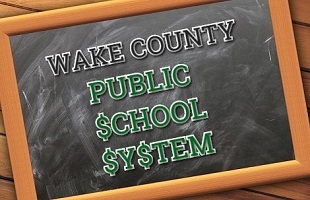 The Wake County Public Schools Board has whined and complained and begged for millions and millions more – on top of their $1.26 billion dollar budget – but here the Wake Board is, blowing over half a million on a 3 person social justice office. That money could go towards at least 10 classroom teachers which are needed in K-3 to comply with smaller class sizes, instead, it’s going to a trio of social justice warriors. Your tax dollars are now at work reinforcing progressive social justice narratives that will be used to further divide our students and pad the layer of eggshells our teacher already walk on. Parents: Wake up? This “Office of Equity Affairs” costing taxpayers over half a million dollars a year. WHY? It goes back to the Wake County School Board being sued by the NC NAACP and a collection of other far-left progressive ‘activist’ organizations, many of which can be traced back to Blueprint NC. I wrote about that complaint in 2014. In 2015, I connected the dots between the “Office of Equity Affairs” and that 2010 complaint via an article I picked up at the News and Observer that dealt with discussions on ‘equitable student discipline plans’. @LadyLiberty1885 It's more of a reaction to the 2010 complaint filed by the NC NAACP. This ‘equitable student discipline plan is not dissimilar to the plan that allowed the Parkland shooter to slip through the cracks. The N&O article links to the student achievement committee meeting, where talks about ‘equity’ occurred. There were two supporting documents attached there. Scroll down to page 6 of ‘student achievement committee comp plan handout’ and you find a section that includes “tasks”. One of them is setting up the ‘office of equity affairs’. Another of the tasks to achieve ‘equity’ in Wake Schools involves training of various types. Number three on the “tasks” list is “Provide Cultural Responsive PBIS training for all PBIS schools.” Translated that is training teachers to identify their ‘white privilege‘. Nowhere in that ABC11 report are the “activist groups” identified, but it’s a decent bet it was organized by the radical social justice education group NC HEAT, who was a part of the 2010 complaint. Image via NC Heat Facebook page. This entry was posted in #SJW, Big Ed Complex, BlueprintNC, EDUCATION, LL1885, NC NAACP, Social Justice, Wake County School Board, You Will Be Made To Care and tagged Lauryn Mascarenaz, NC Heat, Office of Equity Affairs, SPLC, Teaching Tolerance, Teresa Bunner, WCPSS. Bookmark the permalink.